Spend 21 days journaling. Find ways to affirm you are beautiful. After three weeks, you will know your magnificence. Go from feeling blah to feeling beautiful. 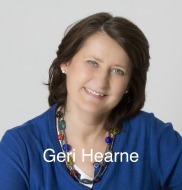 Geri, guided by Graciela and The Essence of All, takes you through the process. When The Essence encouraged Geri to journal, they said: "you will be a different person after only three weeks." They were mostly right. It only took two. "Sit comfortably and close your eyes for a moment. Take a long, deep breath. Now imagine that you are sitting there, across from the most loving person you have ever encountered. Think for a moment, this is the person that loves and adores you the most. What does this person see in you? Open your eyes and start writing. Start with the first thing that comes to mind. Let your mind flow. Write only the positive. You are the most beautiful being that has ever been." Can you feel the love? It's just the beginning. 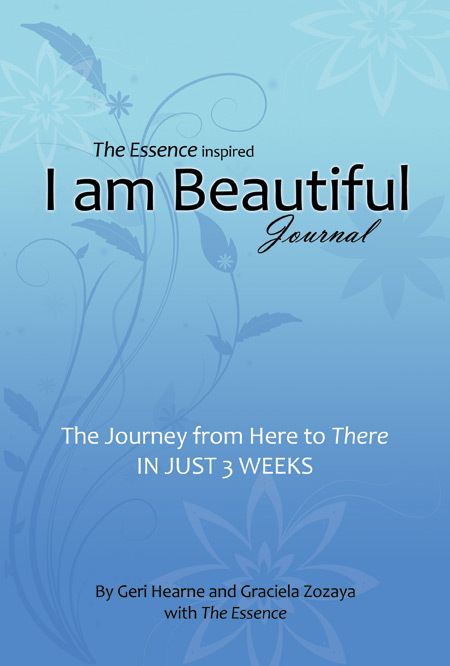 This process will empower you and help you feel better. 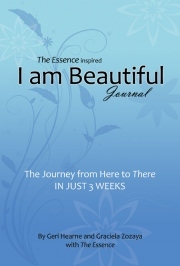 The Essence inspired I Am Beautiful Journal is offered at $9.00.